IntLawGrrls: UN Women: Symbolism or Agent for Change? 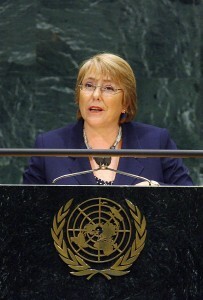 As noted by IntLawGrrl Stephanie Farrior here, it was announced this week that former Chilean President, Michelle Bachelet (left) is the new UN Under-Secretary General and will lead the UN Entity for Gender Equality and the Empowerment of Women, known as UN Women. In this post I want to both outline the structure of the agency and consider why such an agency is required within the UN. 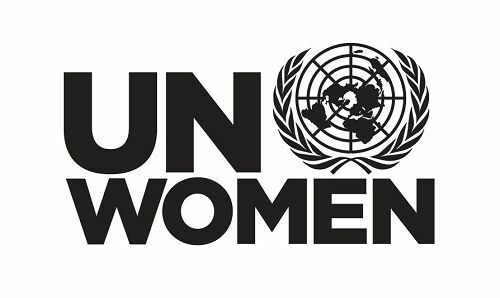 While the establishment of UN Women is to be welcomed, questions necessarily arise as to whether or not it will stand as a symbolic commitment to gender equality and the advancement of women and girls or whether (as I hope will be the case) it will really operate as an agent for change to improve the lot of women and girls around the world. The UN General Assembly -- which, as IntLawGrrl Amy Senier then reported, had adopted a resolution in this regard about a year ago -- established UN Women in July, as part of the organisation’s ongoing reform agenda. Described on its website as “an historic step in accelerating the Organization’s goals on gender equality and the empowerment of women”, UN Women is a new agency that merges four UN organisations: the Division for the Advancement of Women, the International Research and Training Institute for the Advancement of Women, the Office of the Special Adviser on Gender Issues and Advancement of Women, and the UN Development Fund for Women. Bringing these organisations together, UN Women will not only help to co-ordinate the work undertaken within the organisations but will also constitute a large and broad-ranging internal agency of the UN that can impact on the organisation’s wide range of work. The establishment of UN Women will not, as far as I can tell, result in gender experts within different parts of the UN from being appointed (such as Professor Catharine MacKinnon’s role as Special Gender Adviser to the Prosecutor of the International Criminal Court); neither does it preclude the appointment of special rapporteurs to consider gender aspects of particular issues under consideration by the UN where this is thought appropriate. It should therefore be seen as a consolidation and, indeed, expansion of the gender equality mechanisms within the UN. ► To hold the UN system accountable for its own commitments on gender equality, including regular monitoring of system-wide progress. This marks an important further step in the full integration of women and, indeed, more generally of gender-consciousness into the work of the United Nations. The exclusion of women from the originating processes of international law and of the United Nations has been extensively commented on elsewhere, most authoritatively perhaps by Hilary Charlesworth, an IntLawGrrls guest/alumna, and Christine Chinkin in their immensely important monograph on The Boundaries of International Law: A Feminist Analysis (2000). Excluding women from the founding processes of the United Nations resulted in a lack of perspective on the distinctive and particular ways that laws, states and inter-state relationships can impact on women and girls. It also resulted in the occlusion for a long period of time from human rights law of the realities of women’s experiences. This was not exclusive to human rights law, of course; women were traditionally excluded from essentially all areas of international law and inter ested readers will find the Charlesworth & Chinkin analysis illuminating and, perhaps, depressing. The focus of this post, however, is on human rights law. While it is of course true that women and girls do not exclusively experience gender-based violence, sexual violence, discrimination and exclusion, it is equally true to acknowledge that women and girls experience these conditions more than men and boys do and that this is related to persistent and pervasive social and legal conditions that disadvantage women. The UN human rights system cannot be accused of having remained in its ‘original’ masculine state; it has over time developed a number of agencies, resolutions, institutions and Conventions that focus specifically on the conditions of life as they are experienced by women. This has been an especial focus of the UN Convention on the Elimination of All Forms of Discrimination against Women and its enforcement mechanisms, but also by a commitment (met to a greater or lesser extent in different situations) to consider the impact of policies, laws and conditions on women and girls. However, CEDAW is not enough on its own: not only is CEDAW not universally ratified and implemented in domestic law, but the extent to which States have entered reservations to important (if not in fact foundational) provisions within the Convention has long been a source of comment. In addition, an enormous international organisation such as the United Nations is in need of a gender perspective—if not a kind of internal gender watchdog—as is any state or large organisation. It is therefore entirely fitting that UN Women would commit, as it does, to holding “the UN system accountable for its own commitments on gender equality”. This will include not only monitoring of the UN’s institutional progress on gender equality but also, it seems, ‘gender auditing’ proposals from UN bodies and assisting states in the important work of actually operationalising the UN’s standards. ► Are states where gender inequality is systemic and where women’s rights standards of the UN are not being implemented really likely to “request” the support of UN women? ► Even if they do, will the agency be sufficiently supported in terms of finance, personnel and logistics to provide adequate “technical and financial support” to help those countries to move towards more effective standards of gender equality? These are questions that cannot reasonably be answered until we have seen UN Women in operation for some years, but it is difficult to not feel some cautious impulses in considering the likely success of the agency. It is also to be hoped that in deciding how to “to forge effective partnerships with civil society”, UN Women will apply gender equality criteria in selecting its civil society partners, including the effective representation of women within the organisations themselves. None of these notes of caution are intended to under-play the importance of the establishment of UN Women; this is a genuinely welcome development and one that it is hoped will make real progress in advancing the rights of women and girls, and the cause of gender equality, in and through the United Nations. However, until we see how it operates (and, indeed, is facilitated by the wider UN bureaucracy and the member states) UN Women stands as a symbol of the world’s commitment to gender equality and, without sounding too pessimistic a closing note, more symbolism is the last thing the world’s women need. Action, effective commitment, implementation of CEDAW and genuine progression towards gender equality in all areas of human rights protection—civil, political, social, economic and cultural—are much more urgently required.